Above is shown a sign for a law office with 3D engraved text and a 3D scale of justice .This . This beautiful and elegant HDU attorney sign has v-carved text, and border, and a smooth background. 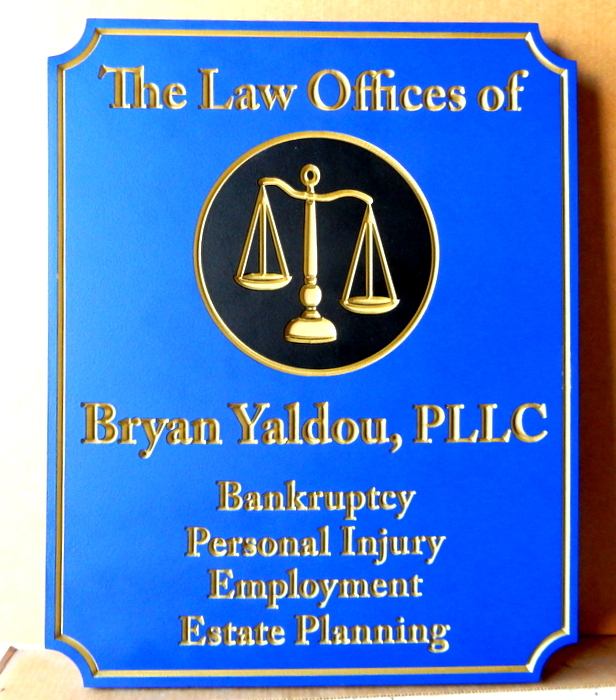 This formal law office office sign projects professionalism and dignity, yet has sophisticated and attention-getting colors. It is clear-coated twice..